Wow! The fish with the hearts for bubbles and the patriotic mermaid bring a smile to my face! Loved you're video Sandee. And I love the story you created around you're page.. Your mermaids are beautiful. I think the patriotic one is my favorite! I love mermaids! Yours is mer~mazing! Woah! Love your creativity and marvelous use of the different shapes and motifs! Love your messy mermaid! Always fun listening to you! 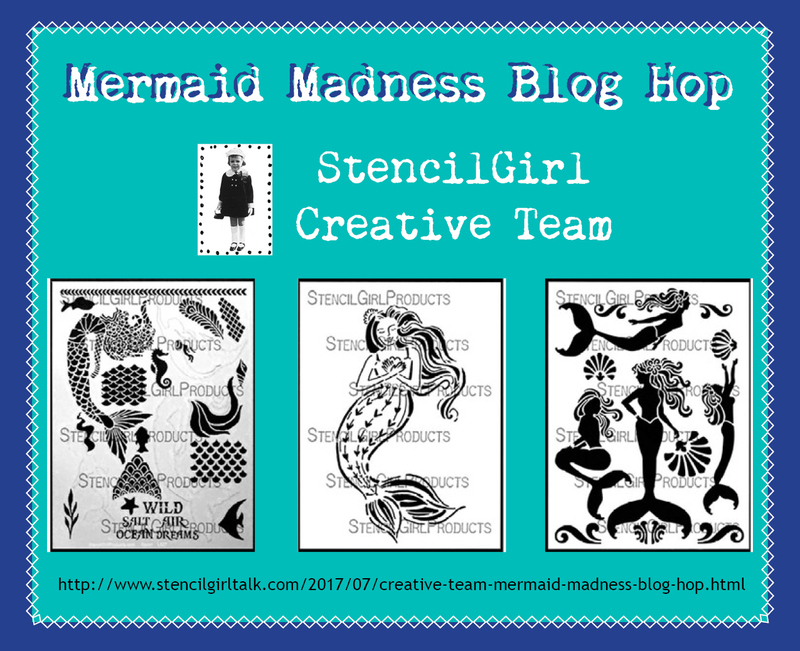 What a fun project, playing with mermaids! Lovely page, Sandee... and I love how you used the Little Eddy Rose stencil to create the radiating glow! Love the projects that you made. I love the colors in Ocean Dreams page. I love the feeling of movement! 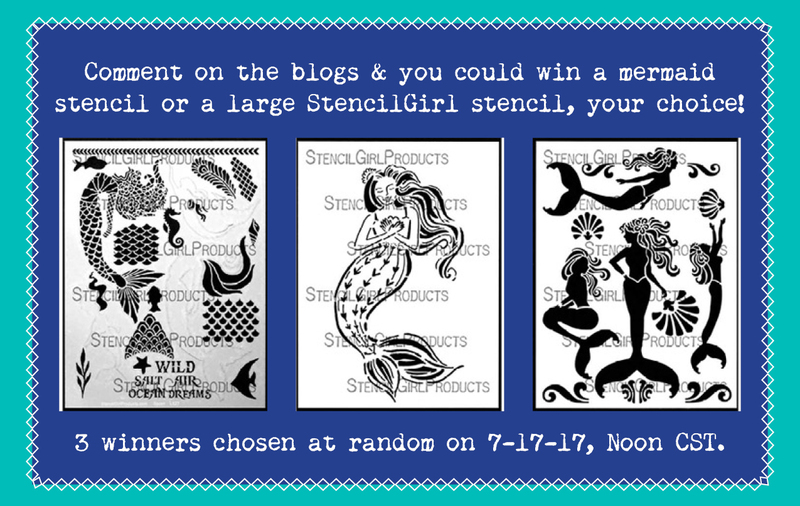 Love Mermaids too!! Your story telling and ability to create images, really project movement and emotion in your art. I always qant to hear more and turn the next page. Awesome job!! 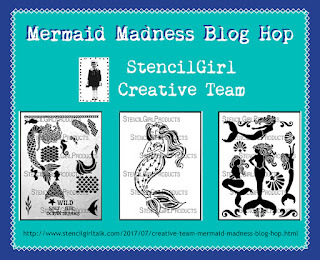 Love your color choices and the way you positioned your mermaid. Awesome stencil. Thanks for the video!! I love your mermaids and the videos are great. I wondered how you got the background on the love one. Fabulous. Thanks for sharing your whimsical and lovely images as well as your art-making process with us! 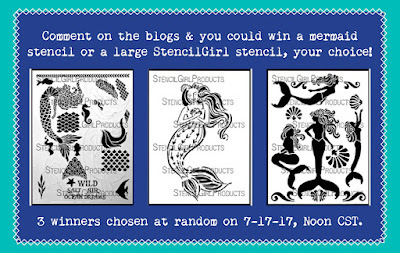 Thank you for sharing how you used the stencils. Your pages are beautiful ! 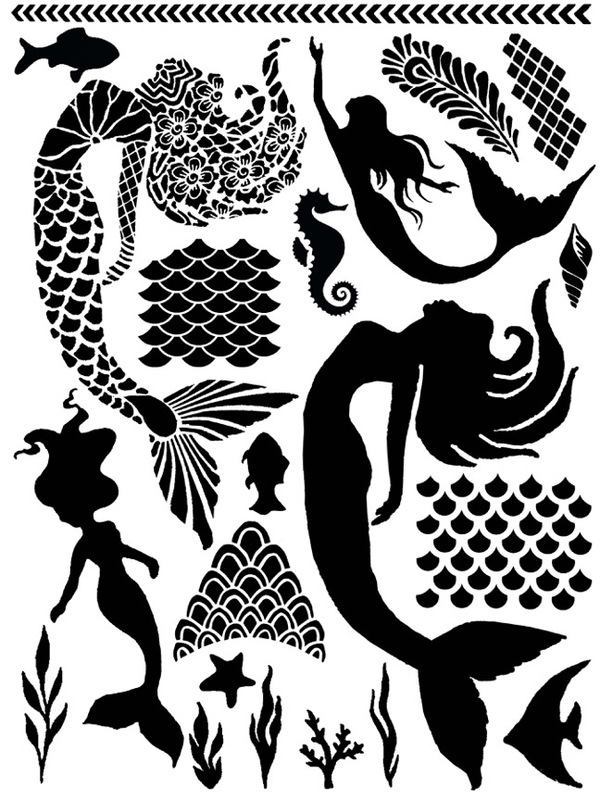 I am so so thrilled you came out with these mermaid stencils. Thank you Jessica Sporn. 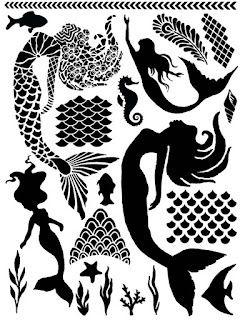 Love love love mermaids! The entire team made such beautiful art. Thank you. I love your mermaid art. This stencil is amazing! Thanks for showing us how you did it, mistakes and all!